The challenging game for Classy Players, player will have to control 2 Player Balls on same time. 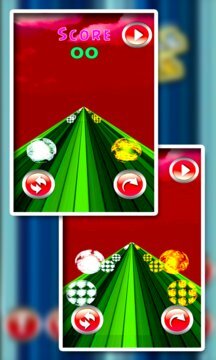 Red fireball and White Snowball are running parallel on the best and super challenging endless runner track. Both the ball will have to collect their own colored coins and at the same time player will have to survive both the ball from geometric spikes. Fireball Snowball Dual Race n Dash 3D offers an amazing and fun game that is not only entertaining but will help you hone your hand-eye coordination and general gaming skills. 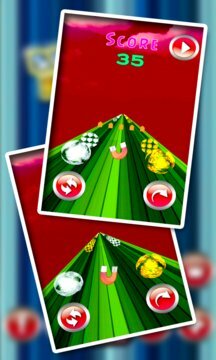 Fireball and Snowball Race is really awesome and creative concept in mobile games. So get ready for the addictive Dual Race & Dash on exciting track. New Concepts and idea Coming More and More!!!!!!! It is easy to play for beginners but hard to master! Get ready to play the best arcade game with exciting challenges and hardest game track.